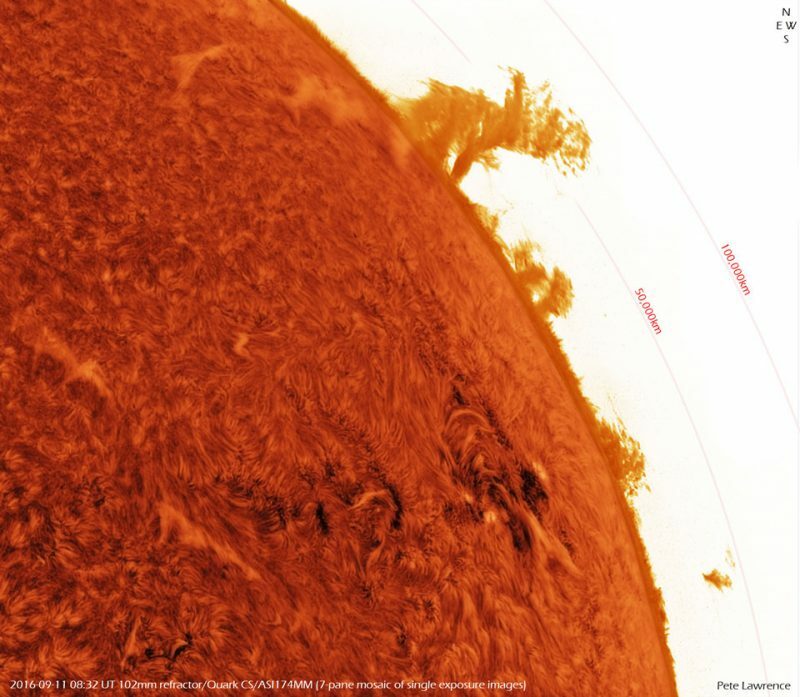 Our star, the Sun, is not very large compared to what we can find in our visible universe. It has a radius of around 650,000 kilometers, making it a star of type G.
The stars, as humans we are and how they can be compared among them, have a classification (of many existing) which mainly depends on two things: Its size and color. This is thanks to diagram Morgan-Keenan. The size is very simple, going from big to small, it is something measurable and easy to understand, so I will not get into that. The color is something a bit more complicated. Not to measure, because each color has a frequency and therefore “a number” but of “place” or say that this one before another. To know this last, fortunately, it often since we as order goes from lowest to highest. As we know (and if not I tell you now), the color depends on the temperature of the star (if not count as general relativity changes the frequency thanks to the moves by gravity, something that happens in the vicinity of a hole black, but that’s for another day). A warmer, closer to blue, to colder, closer to the red. All this thanks to electromagnetic emissions of heat generated photons at different frequencies. Something very simple to understand. Whereupon the sort the stars is easy. 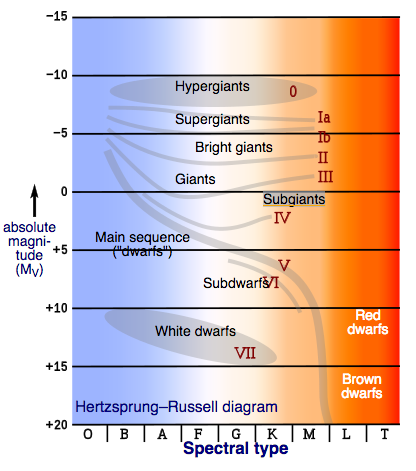 The size varies according to a scale where 0 is the size of the giant (later discovered larger and so there are negative … but come on, the natural numbers ‘N’ exist for something) 20, being the smallest now known brown dwarfs. As a numerical scale, it can be extended without problems. The important thing is to know that depending on the size can only exist in certain colors, which helps to remember his name. As the colors, frequencies, and be no jumps between them, be a continuous, each letter has a numeric sub classification ranging from 0 to 9, when it comes to number 9, the next step is the next color. So after O9 comes A0. Simple. System expansions according to their composition (remember that stars are not just hydrogen and helium, but have heavier elements such as oxygen, carbon, iron), I will not go into them but are added to the definition. And even is usually added time life they have, making the system a bit more complex, but with this, you have more than enough to understand it. The Sun is a G2V, ie a star G color (hence emits yellow light shooting white), type 2 (the temperature is about 5400 K) and V (size 5). As you can see in the chart it is the average size, average star in the average. So the next time a series of science fiction listen as they talk of a star, but will have idea of ​​where to place it.